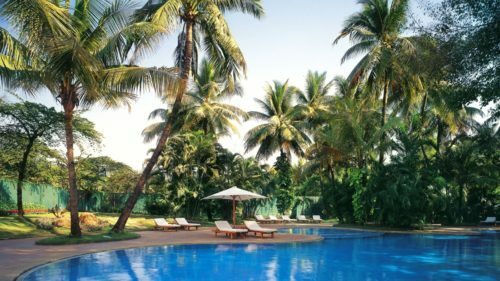 Set amidst 11 acres of lush landscaped gardens, the Leela Mumbai is conveniently located 5 minutes from Mumbai's international airport. 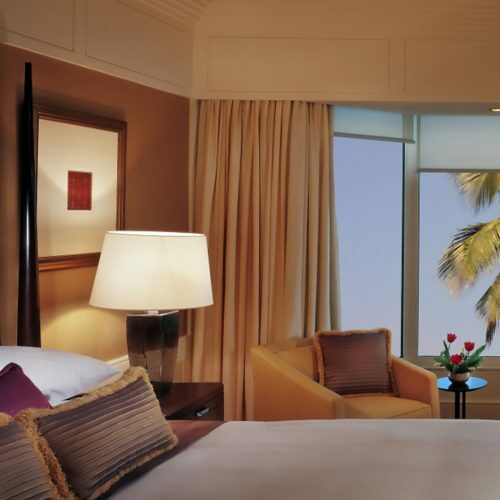 This elegant hotel offers deluxe accommodation in 392 guestrooms and suites. It is a perfect urban retreat with beautifully landscaped gardens and a waterfall. There are several dining options offering contemporary and classic ethnic cuisine. Guests can enjoy the 6,500 sq ft spa and the state-of-the-art fitness center, or perhaps relax with a swim in the hotel pool.